Looking for an executive LinkedIn Profile Sample that shows how your profile can stand out in recruiter’s LinkedIn search results? Writing a compelling, keyword-optimized LinkedIn Profile that garners the attention of executive recruiters and hiring managers is the main way to attract the job leads you want to land the interviews you desire. My LinkedIn Profile Writing Service team and I show job seekers how to optimize their profiles, get discovered by recruiters and use LinkedIn to find job leads. 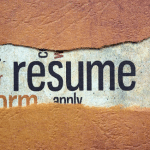 Do you need an Executive Resume, an effective Job Search Plan and succinct career communication documents to advance your job search and your career, in addition to a keyword-optimized LinkedIn profile? Then you will want to review these Executive and Professional-level packages to get the biggest return on your investment. If you are interested in working with Lisa Rangel, an accomplished executive resume and LinkedIn Profile writer, LinkedIn Job Seeker Group Moderator and job search consultant, to achieve the social media exposure and land the interviews you want, sign up for an exploratory call now and learn about how Chameleon Resumes can help.